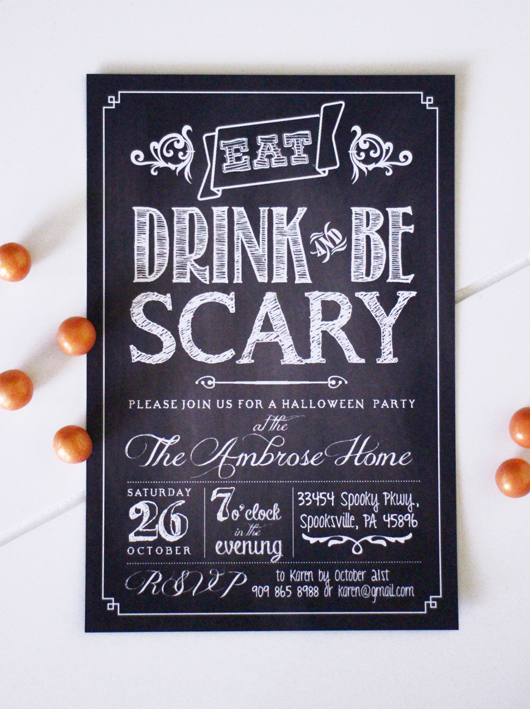 Introducing a brand new Halloween Printable Invitation design in a Chalkboard style. 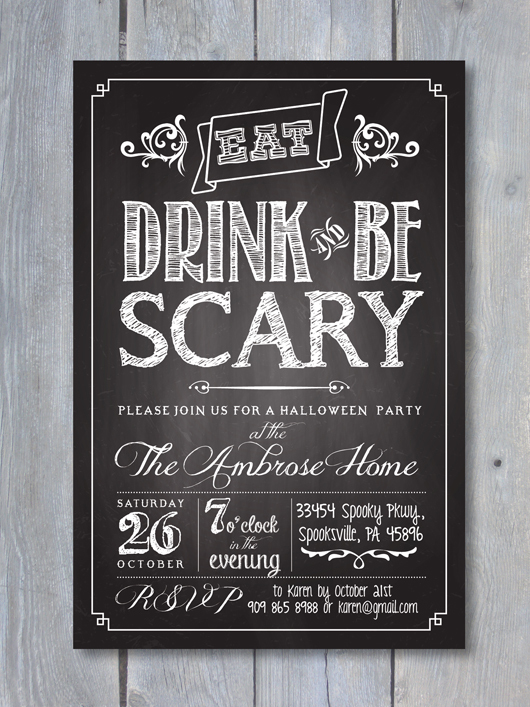 This "Eat, Drink & Be Scary" Chalkboard design is perfect for your family Halloween Event this year – fun and sppoky and so easy to coordinate your party decor, food and activities with. This printable file is personalized with your party details and print-ready PDF & jpeg files are emailed to you, ready to print in your home or at a copy center. coordinating patterned paper PDF file you can use for a envelope liner. 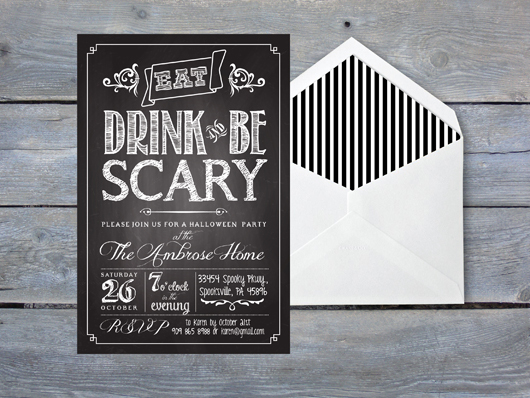 This invitation is available purchase in the Sweet Scarlet Design Etsy shop. Coordinating Halloween Printable Set to come. Designed by Sweet Scarlet Designs. Powered by Blogger.